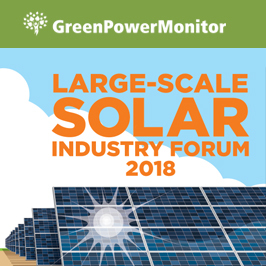 The Clean Energy Council’s annual Large-scale Solar Industry Forum brings solar industry professionals together to share knowledge and work towards technical excellence in the local industry. Albert Carrera, Regional Manager APAC will join the event in Brisbane, Australia, starting on Tuesday May 15th. Let’s explore opportunities to partner together! We have exiting technologies and a strong history that can help your next solar project become a success. Also, please let us know if you are not planning on attending this year’s event. We would love to schedule a face to face visit with you at your office following the show. This session explores the latest developments and analysis in large-scale solar resource measurement and modelling including cloud prediction technology, grid stability systems and satellite irradiance data.